Current switches, also known as current sensors, are used to monitor the operation of motors, pumps, fans, compressors, lights, and other equipment. Two common types of current switches currently available are fixed point and adjustable set point switches. Fixed current switches are designed with a single pre-determined set point and are beneficial because they are installed on cold circuits requiring no adjustment. 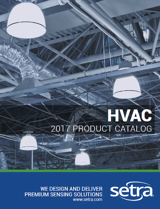 The disadvantage is that not all motors have the same rating, which forces installers to carry a wide range of switches with differing fixed set-points to each job, in order to ensure that the appropriate switches are used on each circuit. Adjustable set point switches can handle a range of current loads and must be configured on a live circuit. 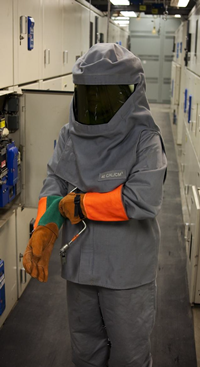 Configuring an adjustable current switch on a live circuit increases the risk of an arc flash, requiring the installer to wear a Personal Protective Equipment (PPE) suit. Often cumbersome, the PPE suit can hinder the installer’s ability to configure the current switch, and make for an uncomfortable installation. Recently new types of current switches were introduced that are adjustable with pre-configured set points. This new line of current switches is unique because the switches can be configured outside of the electrical enclosure and installed on a cold wire; eliminating a lot of the safety concerns and use of a PPE suit for the installer. 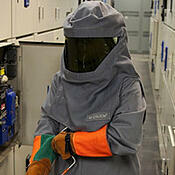 To learn more download the free arc flash prevention whitepaper.